Cast your mind back to Super Saturday at the London 2012 Olympics. Imagine, if you can, that games poster-girl Jessica Ennis has not performed quite so well on the opening day of the heptathlon, and consequently requires to finish first in the 800m to clinch the title. But she gets pipped for the gold, not by any of her traditional rivals, but by youthful compatriot Katarina Johnson-Thompson. 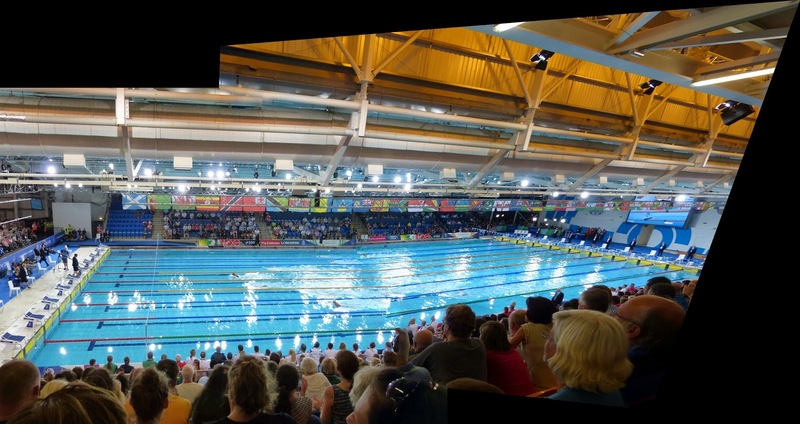 The scenario above may come close to letting you understand the seismic shock which occurred at Tollcross as the Men’s 200m Breaststroke Final unfolded here at Glasgow 2014, as white-hot favourite Michael Jamieson lost out to 20-year old pup Ross Murdoch. For us Scots witnessing the drama unfold, there was an extremely disorientating melange of emotions. Huge disappointment for Michael that he had been denied his first major championship gold, but delight that another new star in the Scottish sporting firmament had been born. Only the flintiest of hearts could not have been moved by both Ross Murdoch’s tears on the podium, and by Jamieson’s look of utter dejection. A single iconic sporting moment like this is perhaps more than many of us see in a lifetime, but as fate would have it this session also saw Hannah “Smiley” Miley produce the performance of her career to come back from seemingly miles behind English girl Aimee Willmott to take the 400m Individual Medley title. I have to say I have never known noise like that at a sporting venue – a real "I Was There" moment. Add to this the fact we also witnessed the Australian girls set a new World Record in the 4 x 100m Freestyle Relay and, although taciturn Son would undoubtedly disagree, I felt this to be the best £360 I have spent in some considerable time. Don't you just love to see empty seats at a "Sold-out" event? Hannah Miley winning gold at Glasgow 2014 Commonwealth Games. during their proudest moments with their hair a mess. This was the start of the first semi-final of the Women's 50m breaststroke. where she took sixth place. all of Scotland as the Men's 200m Breastroke final gets underway. This was the point Ross Murdoch started to overtake Michael Jamieson. Kilts without pleats or tartan are just dresses. Michael and Ross on the podium. It disnae really git a whole load better than this. It's a New World Record - Bronte and Cate Campbell, Melanie Schlanger, Emma McKeon. Sometimes your stitching software works.........and sometimes not.